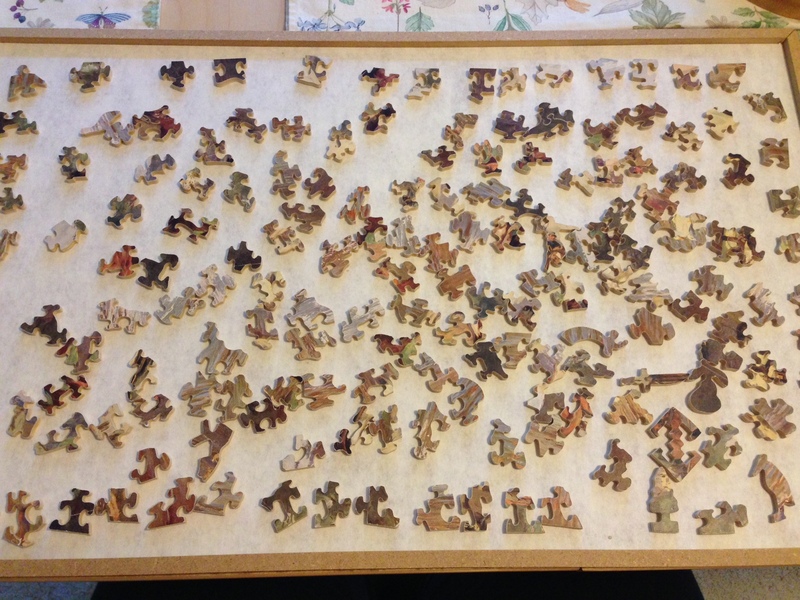 Today I put together a jigsaw puzzle for the first time in a very long time. 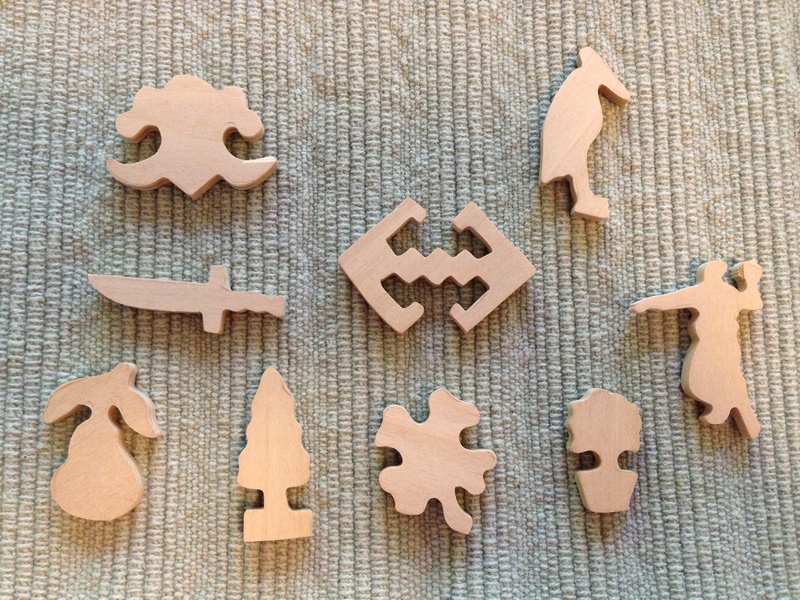 My Aunt Patty gave me 5 wooden puzzles when I was about 10 years old. I decided it’s time to put them together. This puzzle is made of wood, real wood. It’s an antique. There was no picture to refer to which added to the challenge. 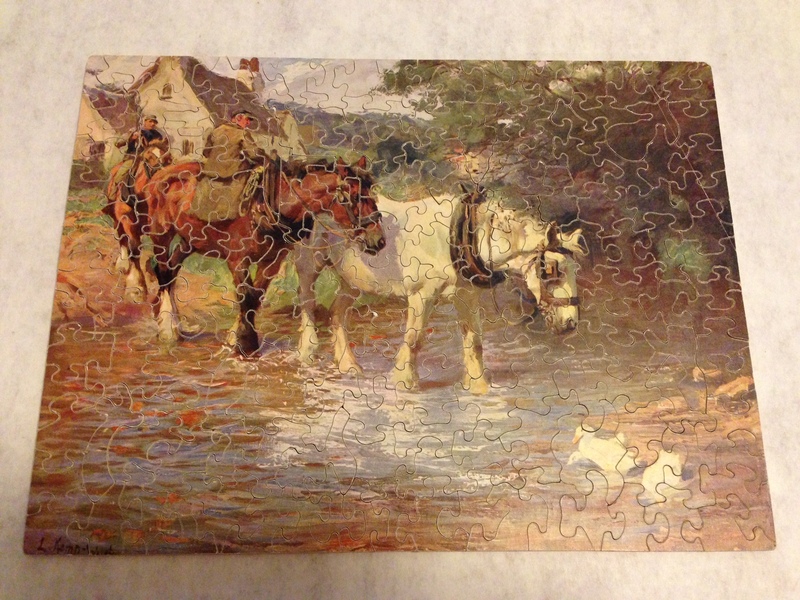 See if you can find these pieces in the photo of the finished puzzle. It took about 3 hours. That’s because I was also listening to an audio book and giving myself a manicure and making dinner at the same time. Someone else will be doing the dishes. This entry was posted in Fun and tagged family, gift, puzzle. Bookmark the permalink.